Why Jayesh needs our Support? 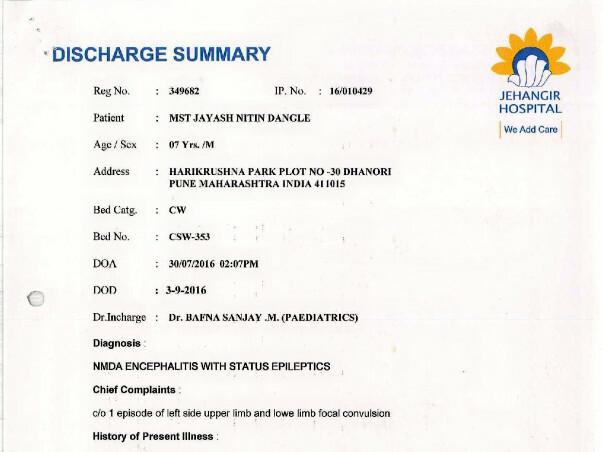 Jayesh Dangle is a 7-year old budding kid, with no prior medical history. He use to go to school& has good scholastic performance. His parents are striving to give best possible Education & he is been Studying in English medium. His Father came home from work & found out that he was blankly staring towards the ceiling. Upon calling out his name, the kid did not respond. Followed by that was unintelligible babble which his parents were unable to understand. Soon his face became deformed & he started getting fits, before blacking out. He was rushed to Jehangir Hospital, Pune on 30-July. Where his conditions deteriorated further, he was not responding to treatment & continuously vomiting. There was swelling in inside his brain, which was major concern. Lifesaving drugs were administer on daily basis for almost a weeks’ time, and several MRI & CT scans were done. He was thoroughly on liquid diet, constantly losing weight. Medical Condition: NMDA ENCEPHALITIS WITH STATUS EPILEPTICS. Survival ratio: the possibility of survival with this medical condition under 10 yrs. age is as low as 1%. Financial condition: This family consists of 4 member i.e. his parents, Jayesh & his elder brother. Nitin Dangle (sole bread owner) has responsibility to earn for his family. His mother is a home maker. Nitin work for a privately owned organization for monthly salary of 7000 per month. Current Situation: Jayesh has been discharged from hospital on 3-Sep-16. He is recovering at slowly. 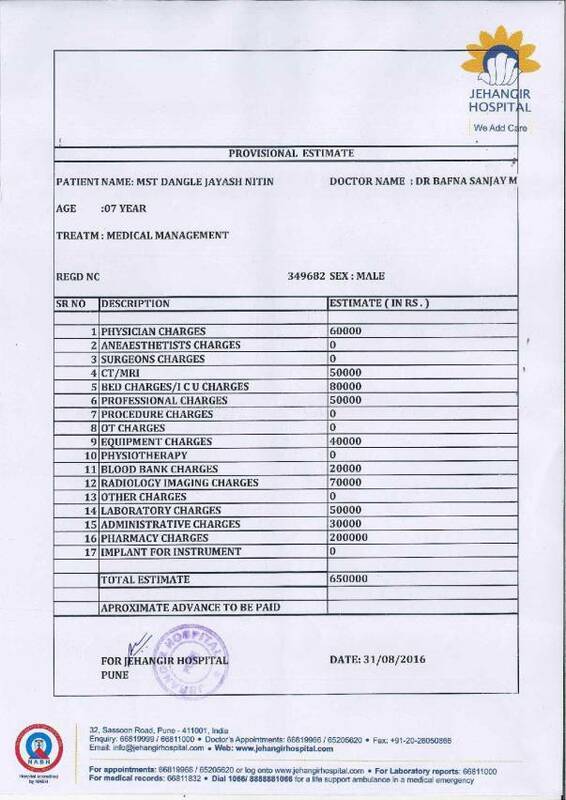 Total amount incurred while he was discharged from hospital was 700000 INR. The expense continues post discharge including weekly consultations with neuro surgeon, Medicines & Scans. Around 200000 was managed by his father from savings & by selling the gold as well as other jewellery. And remaining 500000+ amount was taken from lenders at a very high interest rate. His father is looking for a second part time job, in order to cope up with increasing pressure. 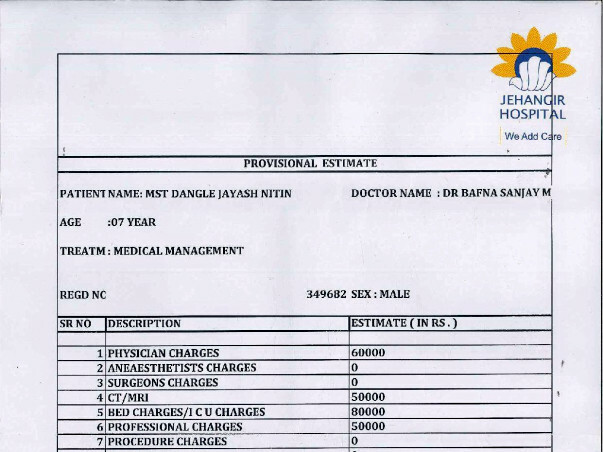 We request everybody who is reading this to help Jayesh’s family as per their means. 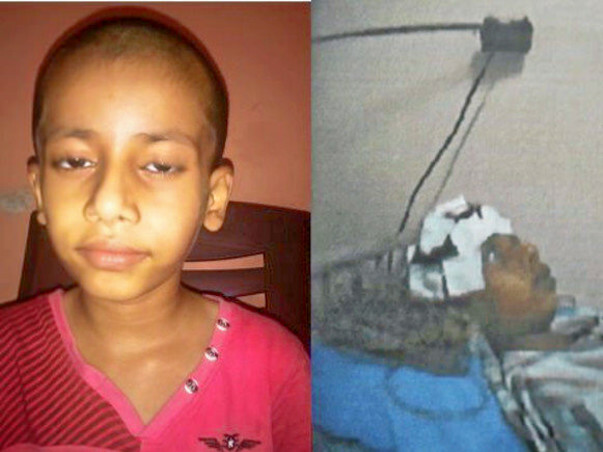 It is for his parents’ courage for which Jayesh is alive today. This family is going through very tough times, every single prayer, wishes & contribution will act as a ray of hope for this family.